The Suunto 9 is a fitness and performance tracker that positions itself as one for the heavy sports enthusiast. 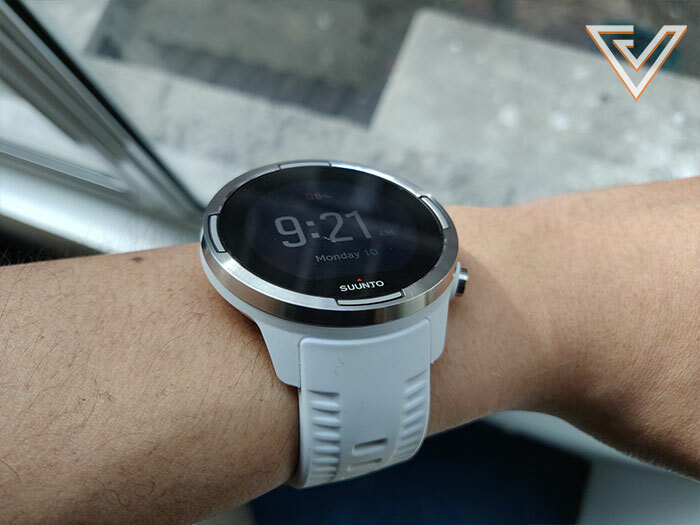 Priced at RM2,699 in Malaysia (there is no official price for Singapore as of yet), the Suunto 9 comes with a large number of tracking options ranging from swimming to hiking, and even skiing. More often than not, the average consumer will be familiar with smartwatches or fitness trackers in a way that’s closer to them being a companion to their smartphone with the all-rounder capability to do a variety of things— including measure steps, heart-rate, and check emails/notifications depending on what model you have. For some, the fitness tracking capabilities of a regular smartwatch or tracker just aren’t enough. Be it battery longevity or in-depth tracking accuracy, there is a crowd out there that do more demanding things—long multi-day trail walks, deep sea diving, off-road biking—and usually have more extraneous demands that regular fitness trackers most probably can’t meet. This is where specialist devices like the Suunto 9 come into play. Boasting a highly-focused set of tools, the Suunto 9 positions itself as one for the really active user—the type that goes on long-distance runs and does plenty of outdoors stuff. With regards to the overall build, the Suunto 9 is an absolute giant of a watch measuring in at 50mm in diameter. 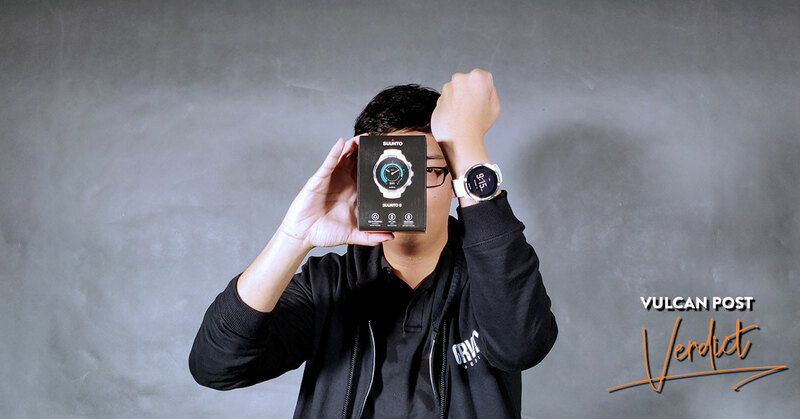 Even being a dude with a tall frame and larger than average proportions, the Suunto 9 still looked absolutely conspicuous sitting on my wrist. Aesthetic-wise, the watch isn’t obtrusive in the strictest sense, but obviously it wants you and the people around you to know it’s there. There are three stainless steel buttons to help you navigate through the menus, and the bezel surrounding the massive screen is made from the same material, lending the watch a real sense of robustness—which it has in spades. Just playing around with the Suunto 9 in the hand, I got the sense that the solid plastic construction around the rest of the body meant you could drop a house on it and it wouldn’t crack. More realistically though, the watch is built from high-quality hard plastic and the sapphire glass that protects the touchscreen helps make the device an extremely sturdy companion. It also helps that the device boasts a resistance of water up to 100 metres. This all gave me the confidence to know that I could take it anywhere and it would probably come out just fine, and it lent strongly to the overall selling point of it being a device for the great outdoors more than anywhere else. If I had to make a complaint however, it would be that the Suunto 9’s display isn’t great in the visibility department. While text and number are legible enough, the brightness and depth of colour seemed to be a bit of an issue, especially in broad daylight. When it comes to features and performance, the Suunto 9 makes it very clear that it’s made for the adrenaline junkie first and foremost. The device features a large number of sporting and tracking options ranging from cross-country to swimming to cycling and even skiing, making it very apt for multi-discipline athletes looking for a wearable that can match their ambitions. The Suunto 9 has a whole lot of activity options. The Suunto 9 is able to accurately cater to these activities thanks to its host of relevant measurement tools such as compass, altimeter, and accelerator among others that will help it track movement and effort with relative precision. All this is complemented with an in-built GPS navigation system that will enable the wearer to move around freely without the need to carry their phone at all times. For the most part, tracking accuracy was fairly accurate throughout the number of times I went on a walk around the neighbourhood or that one time I took a dip in the pool in Bali. While there is the option for sleep tracking, I never actually used it due to the uncomfortable size of the device on the wrist while sleeping. One huge plus point (and I mean huge) is its mammoth-sized battery that’s able to last wearers days upon days of extended usage. Having only charged the Suunto 9 once since receiving it, I counted over 10 days of wear with light-to-medium usage and still some power left over for a bit more. 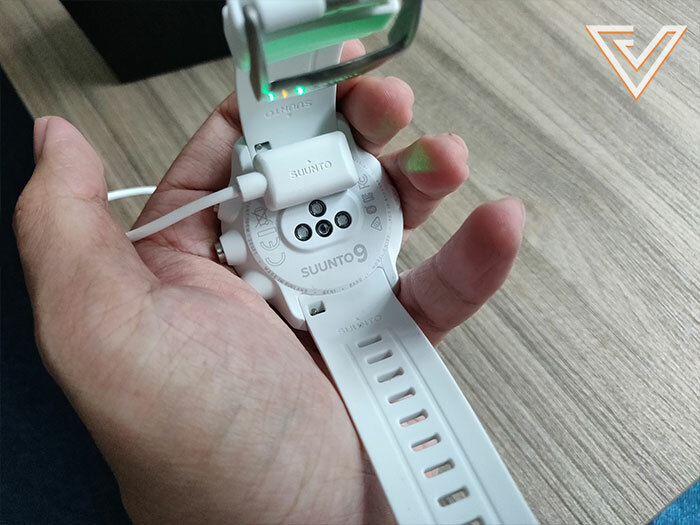 The charging cable easily snaps on to the back of the Suunto 9. In terms of apps, the Suunto 9 finds itself in a weird spot by giving out two separate app options to pair with. There is the Movescount app which I found to not work very well, which is why I ended up just going with the standard Suunto app instead. 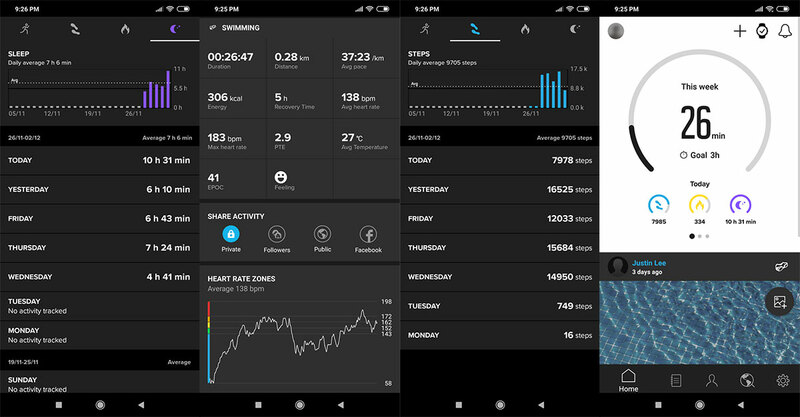 The Suunto 9 presents information through the Suunto app in easy-to-understand figures and charts. On the app, information regarding all your workouts and activity are presented in detailed charts and figures, making it handy for those who really want to keep tabs on their performance. The Suunto 9 is also able to track accurately when you go on activities that involve changes in altitude change. For example, when you go hiking, altitude changes are presented in a detailed graph (like shown on the right). After all is said and done, it’s very clear that the Suunto 9 really is a fitness tracker that really cares about the extremes. Despite how hard, how far, or how long the user wants to go on a particular activity, it knows it can keep up and still return with enough juice to spare for the next outing. That said, those just looking for a companion watch that can double as a fitness tracker will be better served looking elsewhere—thanks to its quite hefty price-tag (the Suunto 9 retails for RM2,699 in Malaysia, while there isn’t yet an official price for Singapore) and its lack of everyday lifestyle focus compared to other devices such as the Samsung Galaxy Watch. 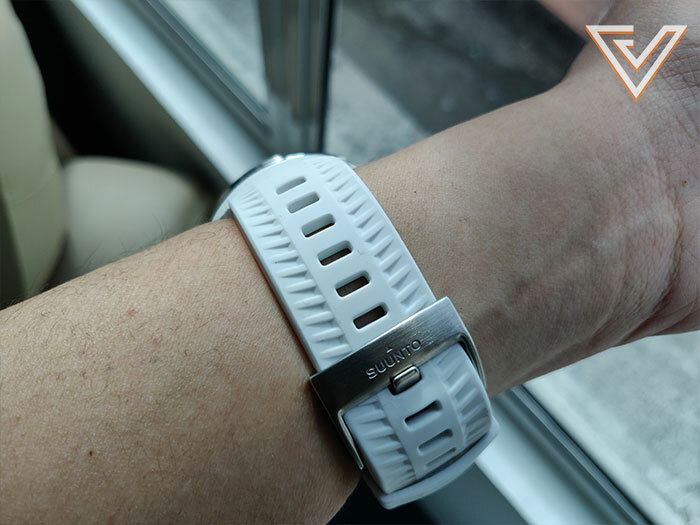 For one who isn’t so crazy about doing mountain biking or ultramarathons, however, I can only serve up the Suunto 9 as a recommendation for others who are more inclined towards such activities. For more on the Suunto 9, check out the official information page here.